At this time of the year I like to enjoy simple foods and lots of salads. But simple shouldn’t mean lacking flavour, oh no. This beauty of a relish is one that goes well with so much and I always keep some in my freezer. I like to serve it along side some of my other freezer favourites like falafel or my sage and onion vegan sausage, but it even works on veggie burgers with large helpings of pickled gherkins. 3 red peppers roasted and peeled and chopped click here for info on how to prepare these. Or just buy a jar but they’re more pricey. 400g tine of chopped tomatoes. Gently cook the onion in the sunflower oil until translucent. Add in all of the other ingredients and leave to simmer for about 15 minutes or until most of the water has evaporated. Using a hand blender, blend the ingredients. This roast garlic tahini sauce is so versatile I used it on everything, from quinoa salads, to roasted squash, and falafels, I even add it to vegan burgers as a mayo replacer. It’s fresh and tangy and freezes easily, not to mention it being rich in calcium too! I always have some of this in the fridge or the freezer. The photos I’ve used here are from different recipes where I’ve used this sauce as an accompaniment. In a food processor add all of the other ingredients but only half of the water. How much water you add depends on how you like the sauce to be. I wanted a thicker consistency so I added the water bit by bit. For salads I like it a little more runny. When the garlic has cooled enough squeeze the cloves out from the skin. This should happen easily. Add 4 to 5 cloves to the food processor along with some salt and blend until creamy. You can add more garlic if you choose to. Use this sauce straight away on your favourite salad or on a vegan burger. It’s so versatile. Here it is again, roasted garlic. Yes, I may have some sort of crazed addiction to garlic but I blame my Mam, she eats it raw! That’s a step too far pour moi but garlic does add the most incredible flavour and it’s packed with lots of medicinal properties too so ’tis all good. This recipe works really well as a canope and it looks really good too. If you’re serving it on bread here’s a little tip: toast the bread on an open flame (if you have a gas hob) and you’ll transport the flavours of the bread to another dimension. This is a little trick I was shown during my course in Lazio and although it takes a little time, it’s so worth it. I’ve used the plain Vio LIfe Cream Cheese from Art of Zen foods here. This is a great one for adding your own flavours to. Place the garlic on some foil and drizzle over some of the olive oil. Close up the foil and place in the oven for 20 to 30mins. Remove from the oven and allow to cool. Place a griddle pan over a very high heat, ventilate the room and turn on the extractor fan. Coat the scallions with some of the oil and when the pan is piping hot add the scallions. Sprinkle over a little salt and pepper. Cook for 5 to 6 minutes turning once or twice. Once they have blackened remove for the pan, dry off with some kitchen towel and set aside and allow to cool. Take 6 cloves of garlic and remove from the skin. Using a large knife flatten the cloves into a paste. You can use the rest of the cloves for a garlic bread. Finely chop the scallions and add to a bowl along with the garlic paste and the cream cheese. Add the remaining olive oil and mix well with a fork. I’ve yet to meet anyone who doesn’t like beans on toast. 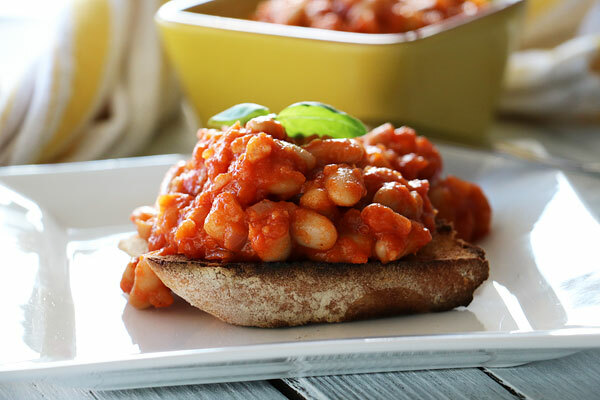 If you’ve ever been a student then you’ve most likely enjoyed your fill of the ready-made canned beans poured over toasted white bread. 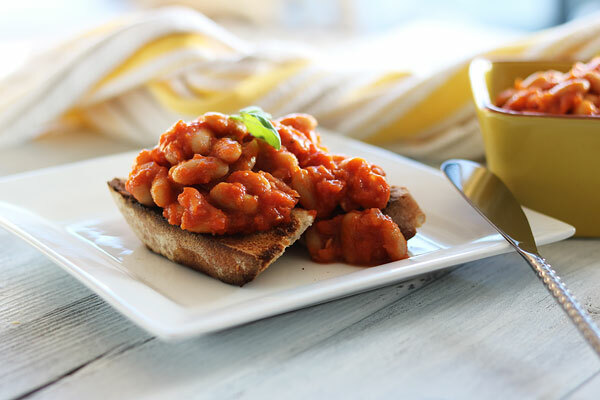 These beans make for a quick and easy meal that’s tasty and filling but my recipe for home-made baked beans takes it to another level. Smoked paprika is the secret weapon here. You can whizz this recipe up on 15 minutes but I like to simmer the beans until they have softened and the sauce has thickened. They’re even better the following day. Heat the oil in a pan over a medium heat, add the onion and cook until translucent. Then add the garlic and paprika and cook for 3 mins. Add the tomatoes and sugar and give a good stir. Cook for another 5 mins. Add the beans. You can simply heat through for five minutes and serve but I like to give the beans time to go a little mushy. When your beans are ready toast some ciabatta or sour dough bread. Load up your toast, season with some salt and pepper. This paste is easy to make and it freezes really well. 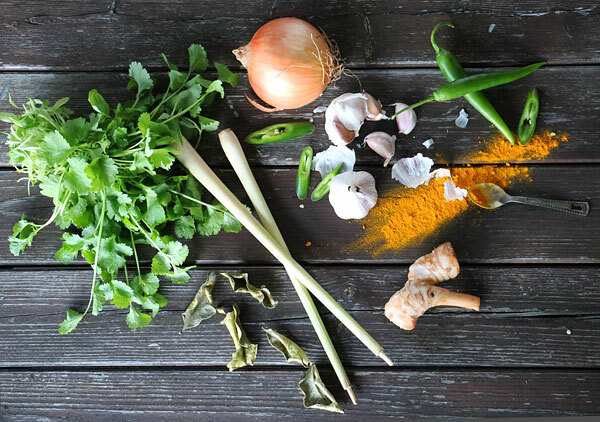 The ingredients also freeze well on their own so it’s a good idea to keep well stocked up as you will be wanting more of this fiery and fragrant curry. 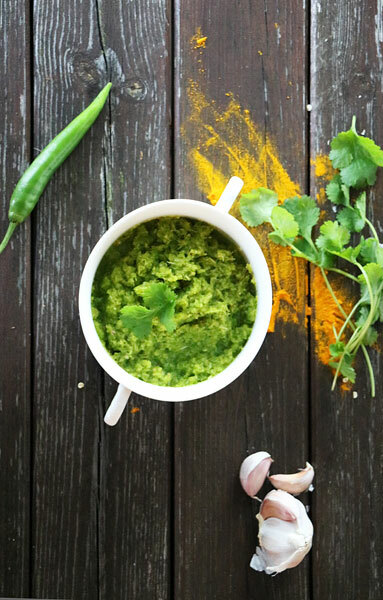 Simply put everything into a food processor and blend on a high-speed until you have a smooth paste.